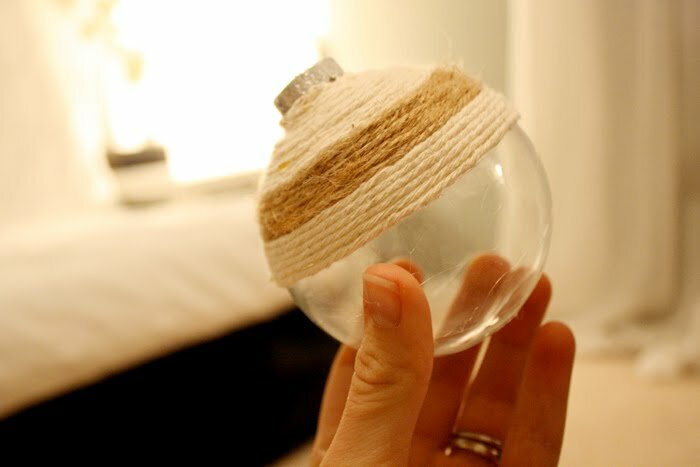 Inspired by this post (from Bower Power found via The Creative Place) I decided that these sweet little ornaments would be perfect as gifts this Christmas, so I purchased the supplies needed and tried my hand at making them. Step 1 || Using either tip of glue bottle or tiny paint brush dipped in glue write a word or initial of your choice. 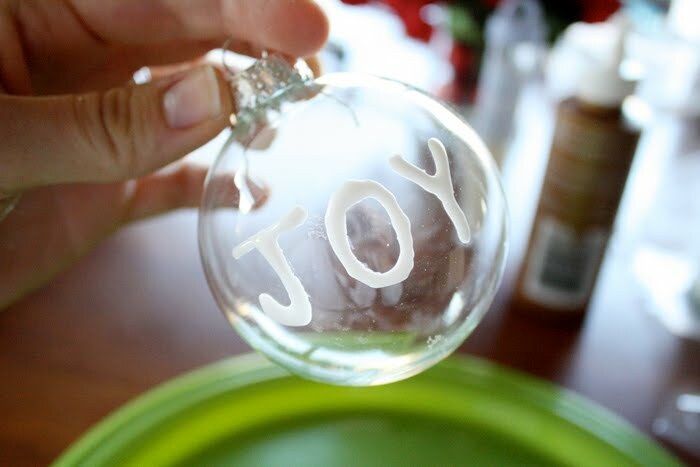 I chose the word 'JOY' for a few of the ornaments and did a few with a monogram as well, with the receiver's last initial. Step 2 || Generously pour glitter over glue. Allow to dry. 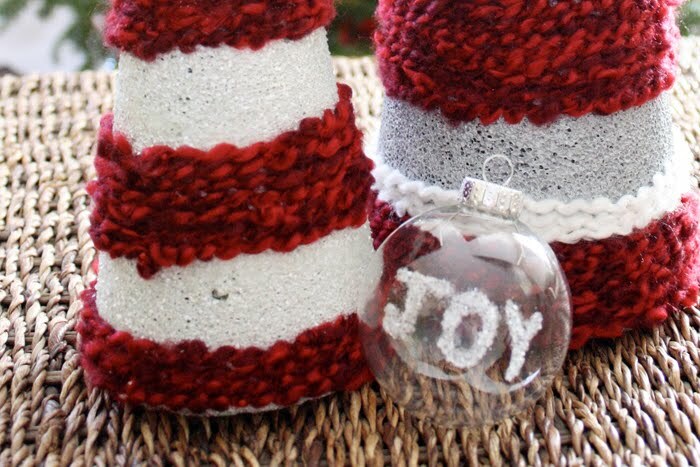 Use dry paint brush to brush away excess glitter. Step 3 || Lace ribbon through for a finishing touch. I used a wide chiffon red ribbon. That's all. Super easy. Super pretty. Super elegant & classic. 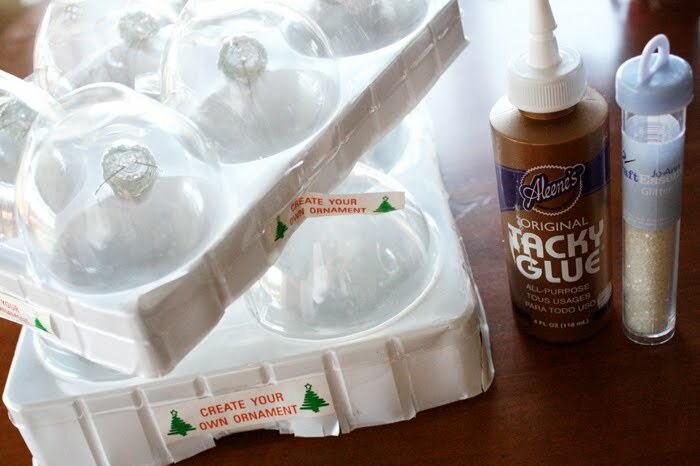 Step 1 || Using the hot glue gun place glue around the neck of the ornament. 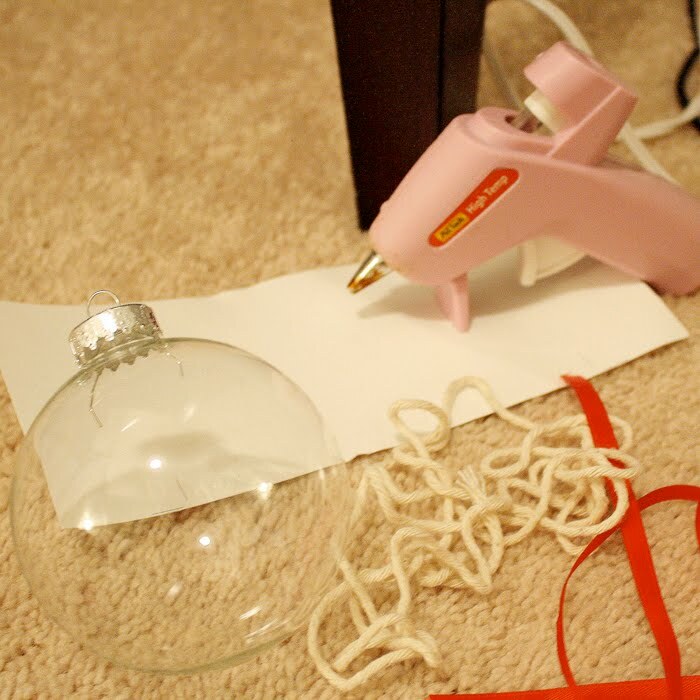 Step 2 || Place the start of the string on the hot glue and begin wrapping around the ornament. 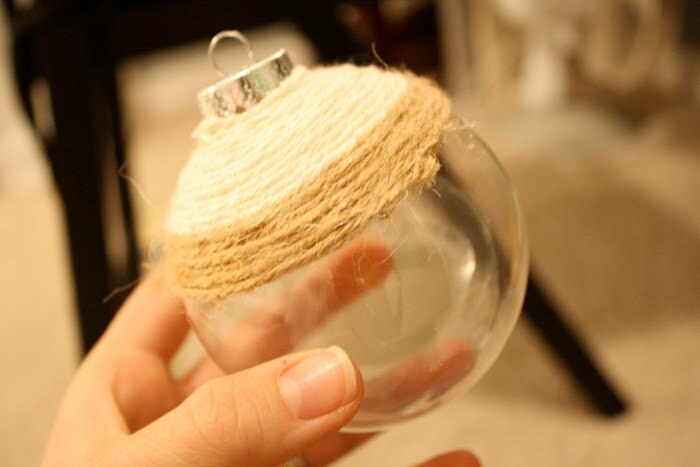 Periodically add glue to the ornament, laying string over the glue. 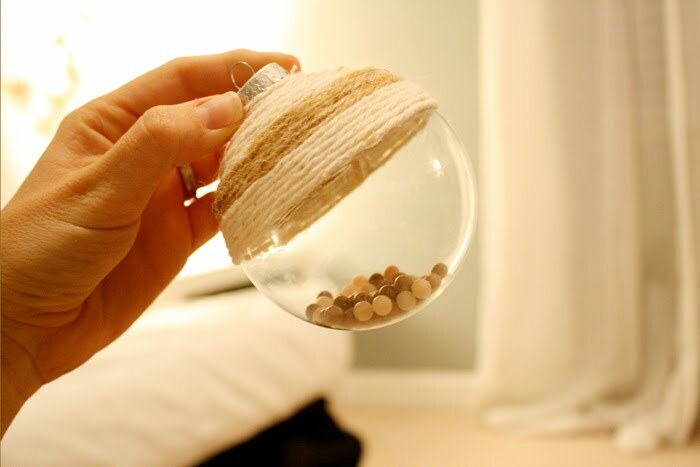 If desired you can continue the entire ornament in one type of string OR move on to Step 3. Step 3 || Cut the string after approximate 15 times around or to your desired width of stripe, add a drop of glue and adhere the end of the string to the glue. Step 4 || Then using an alternate type of string or jute begin another stripe picking up where you left off with the last stripe. Step 5 || Continue this process until your desired pattern is achieved. I did an entire set as a gift and did each ornament a little differently. 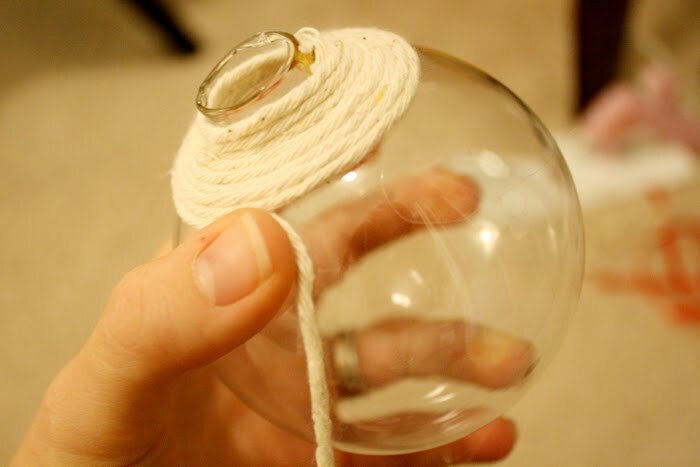 One ornament was one type of string, all the way to the bottom, others I did stripes and left a portion of the glass still visible, etc. Step 6 || Once you complete the exterior of the ornament, add coordinating beads to the inside of the ornament (for those that leave a portion of the glass exposed.) It adds a little something extra. 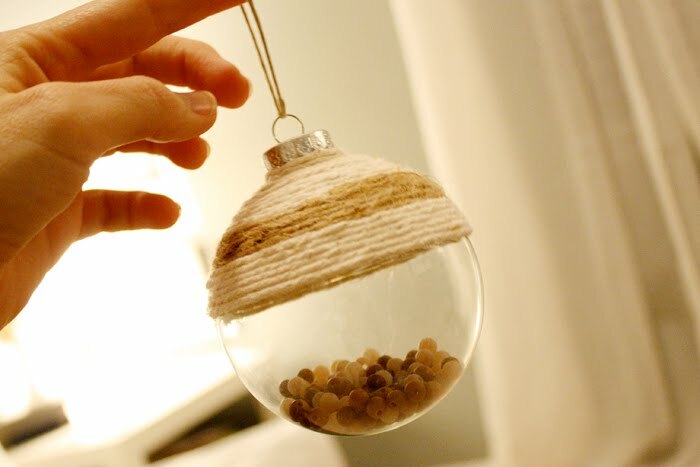 Step 7 || Loop a piece of string or twine through the ornament and hang on your rustic Christmas tree. I really enjoyed making these. I hope you do too. Oh.My.Word. 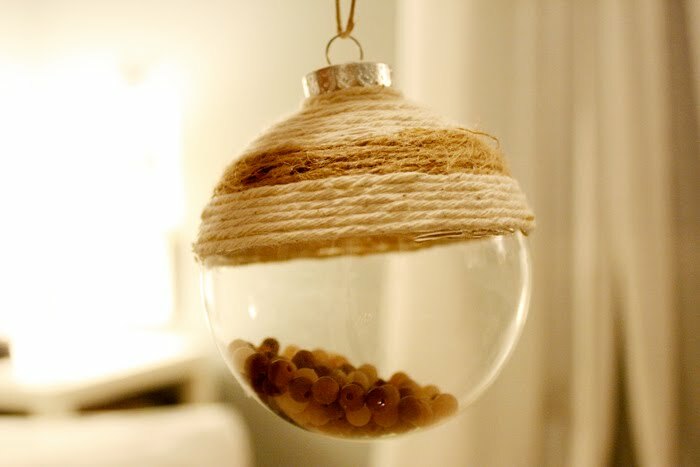 LOVE the twine ornaments with the beads. LOVE. You are so awesome!! These all turned out so beautiful!